Julia Agrippina was a Roman Empress and one of the more prominent women in the Julio-Claudian dynasty. 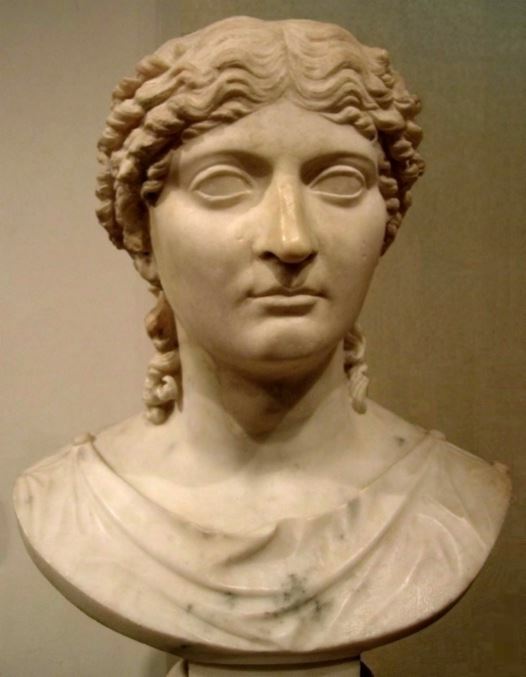 She was a great-granddaughter of the Emperor Augustus, great-niece and adoptive granddaughter of the Emperor Tiberius, sister of the Emperor Caligula, niece and fourth wife of the Emperor Claudius, and mother of the Emperor Nero. Agrippina the Younger has been described by ancient sources and modern scholars as ruthless, ambitious, violent, and domineering. Many Ancient ressources accuse her of poisoning her husband, Emperor Claudius, to pave the way for her son Nero to become emperor. Accounts of her death vary, but most agree that Nero tried to have her assassinated several times before she finally succumbed to his efforts.